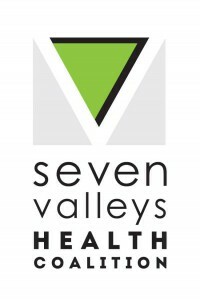 Seven Valleys Health Coalition, Inc. (SVHC) is a rural health network located in Cortland, NY. SVHC’s mission is to cultivate local solutions and collaborative actions that advance the health and well-being of the Cortland community. Five years ago, SVHC was awarded a Creating Healthy Places to Live, Work and Play grant from the New York State Department of Health and began work to implement sustainable policy, systems and environmental changes in an effort to prevent chronic disease. vegetables, opportunities for physical activity and environmental changes that promoted healthy eating and active living as part of the built environment. Workshops to share info on how to grow and preserve food and resources purchased for each community library. Funding from the Creating Healthy Places to Live, Work and Play Grant allowed SVHC to host gardeners at the Sherman House in Homer, where for the first time ever, representatives from area community gardens gathered together as one group. Gardeners worked together to help others by sharing their experience and ideas on how to combat challenges such as tomato blight and provided resources for seeds and plants in the northeast region. Information on plot availability was shared as well as ideas for gardening naturally and working with what you have in your own backyard. A list of community gardens can be found on the HealthyNOW website. Promotion of produce at local corner stores through the “Harvest to Home” Campaign. 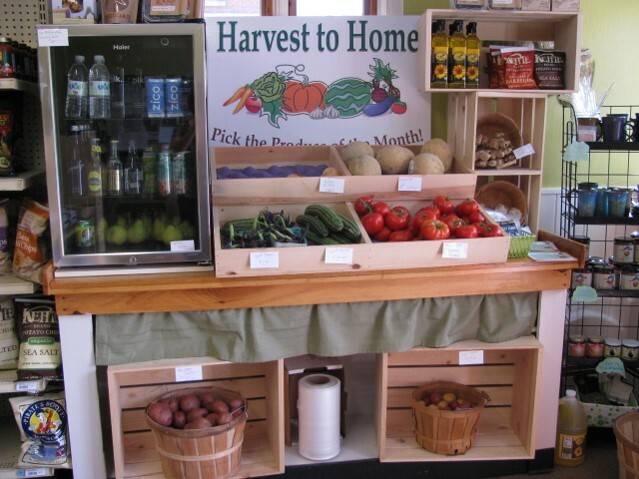 Each store agreed to prominently place a produce stand and feature an item each month. HealthyNOW featured the stores in ads in the paper and marketed the featured item. HealthyNOW also provided a recipe card for the featured produce item and shot a commercial promoting the stores and advertising where they can get produce in their neighborhood. New 2.4 mile trail connecting local neighborhoods to Lime Hollow Nature Centers network of trails utilizing a former railroad bed. Events and activities that promote trails and walking routes already in existence. Improvements to city streets and intersections that ensure streets are safe and accessible for all users. SVHC and the Food and Health Network both support access to healthy food, and come together at the Local Agriculture Promotion Committee and newly formed Cortland hunger coalition to to collaborate on access to produce and other local food. SVHC also attends school wellness meetings and advocates for farm to school and wellness policies. We look forward to continued collaboration in a variety of initiatives that nourish the body and spirit in healthy ways.